The Nassau Country Club has contributed much to the lore and history of golf which dates back to our original incorporation in 1896. 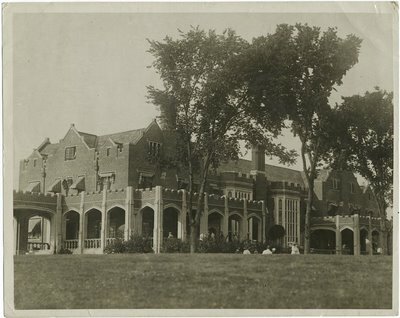 The Club was originally incorporated as the Queens County Golf Club; there was no Nassau County. In 1898 our new County was formed and the Club was renamed Nassau Country Club. Thereafter, American golf saw great expansion, and a number of new courses were formed at the turn of the century. In those days, inter-club matches were in vogue, and Nassau teams, as well as those at other nearby exclusive clubs, had many prominent members who often were in the news of the day. They were embarrassed and often objected to the ribbing of being defeated by some score such as eight and seven.Prominent member J.B. Coles Tappan devised a system whereby, losing an entire match, the result would only be 3-0 or, even after a bad loss on the outgoing nine, a player could regain his game, win the back nine and perhaps halve the total match and gain a tie or only a 2-1 loss. This became a gentlemanly way of playing and thus a new word was added to the lexicon of golf, The Nassau Bet. A great many articles and stories have been printed on the origin of this club in any number of golf magazines and histories of golf. A study of these articles, plus corroboration of the stories, lead to conclusive proof of the following story. 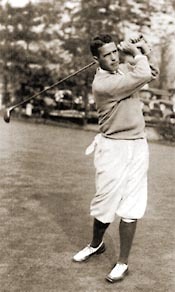 Past Green Superintendent Charles Brett was caddying here the day Jones acquired the club; and a further discussion led to a talk with Jim Kramer, who not only was aware of the history, but caddied that July 8, 1923, for Jones when he played a tune-up round with Pro Jim Maiden. 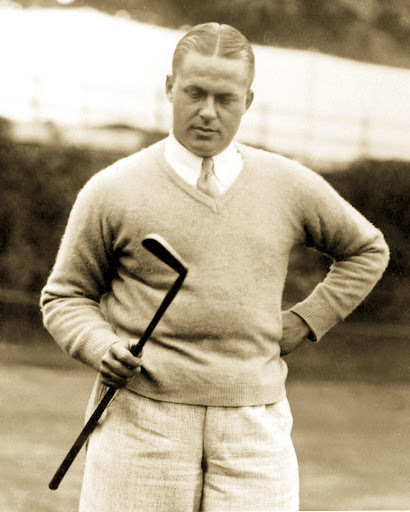 Bobby Jones went on to win the U.S. Open at Inwood on July 15, 1923, and from that day on used Calamity Jane until he retired after his Grand Slam in 1930. The Spalding Company reproduced it by the thousands. Today, the original Calamity Jane can be seen at Golf House in Far Hills, New Jersey, home of the USGA. The original golf shop, which now serves as our halfway house is named “The Calamity Jane House,” in honor of Bobby Jones and his famous putter, perhaps the most famous golf club of all time. It was the work shop of our early golf professionals including Alex Smith. Smith was a true pioneer professional and worked at Nassau from 1901 until 1909. His astounding golf record includes winning the U.S.Open in 1906 and 1910. As you tread our old fairways and putt our smooth greens, you may appreciate the fact that many of the greats of golfdom have played Nassau before you. Tennis has also been a great part of Nassau’s history. The Nassau Bowl was the major prize at the Nassau Invitational, an annual tournament that was a main stop on the US Amateur Tennis Tour. Inscribed on the Nassau Bowl are all the names of tennis greats, including Don Budge, Jack Kramer, Bobby Riggs and Bill Tilden. Nassau and its lawn tennis courts were the envy of the other clubs in the area for they often brought players here to prepare for National Championships at Forest Hills. Fred Baggs, Charlie Mattmann and Chuck McKinley have all played at Nassau as members. Arthur Ashe, Rod Laver, John McEnroe and Vitas Gerulitis all played at Nassau in recent years attracted by the outstanding courts and country club atmosphere.